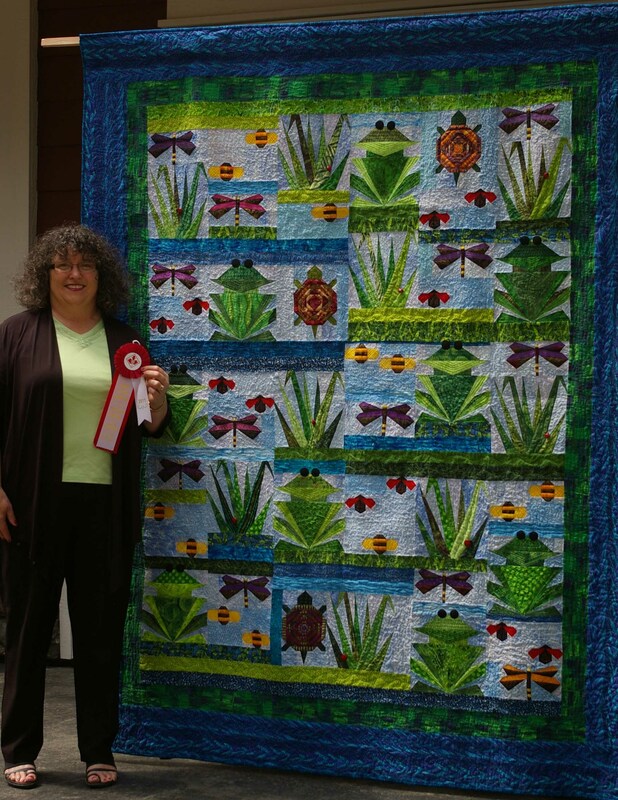 The 2011 show was the sixth in the history of the Whistler Valley Quilters’ Guild, the first being held in 1996. 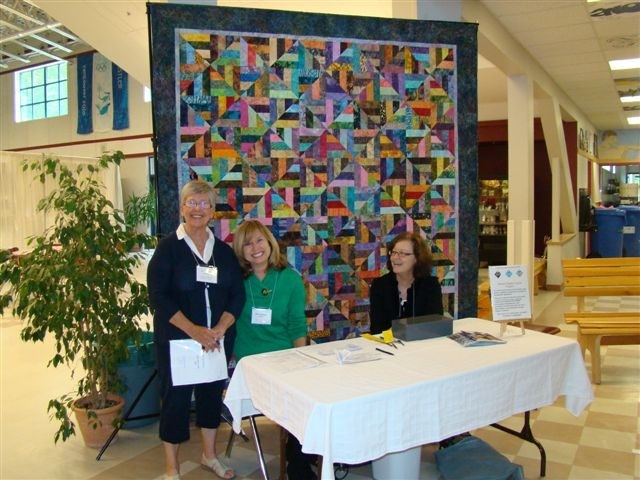 The quilt and fibre art displays, workshops, and merchant mall attracted over 550 visitors over the two-day show. Members of the Guild collaborated to make this year’s raffle quilt – a colourful queen-size batik quilt. 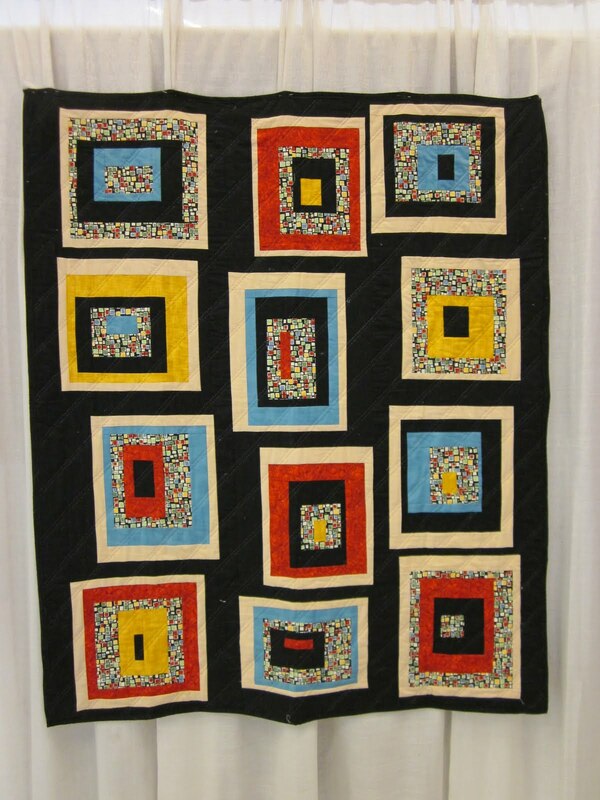 One member coordinated the quilt’s construction and many members drew from their stashes to contribute quilt blocks. 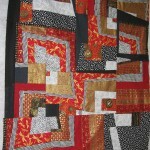 Another member then machine quilted it with a beautiful overall quilt motif. Proceeds from the raffle were donated to the Whistler Adaptive Sports Program – a not-for-profit society that provides year-around, recreational programs for people of all ages with disabilities. They have local, regional, national and international clientele and encourage independence, self-confidence and self-motivation for all of their athletes and participants through outdoor recreation. 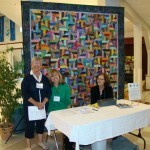 Of course, the main purpose of the quilt show was to display quilts and fibre art projects made by our 36 members. Over 260 quilts and projects were on display during the two days demonstrating the variety of artistic skills and talents of our small group. 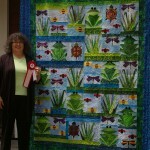 The Best in Show, as voted by visitors was won by Rhonda Harvey for her paper-pieced “In the Pond”. Tule rush is a sedge that grows in lakes and marshes around southern B.C. The First Nations people of the West Coast used this important mat-making material for walls, roofs and window coverings of temporary shelters. In this class, participants will weave the tule rush with the plaiting and twining techniques to create a functional rectangular form with the aim of completing a basket by the end of the class. In the class attendees experimented and invented new ways and new colour arrangements for log cabin blocks. The second part of the workshop was spent “running” with a favourite idea, or result of the experimentation. Display from The Fabricators – “Passages, Portals & Beyond”. The Fabricators are a group of quilters from central British Columbia who join together to produce a themed display which travels to various venues. 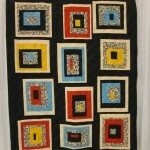 Antique quilts display, the oldest being circa 1820, showing many of the quilt patterns that we still see today. Small Talks presented by each of the merchants, demonstrating a sewing or crafting technique or tool. 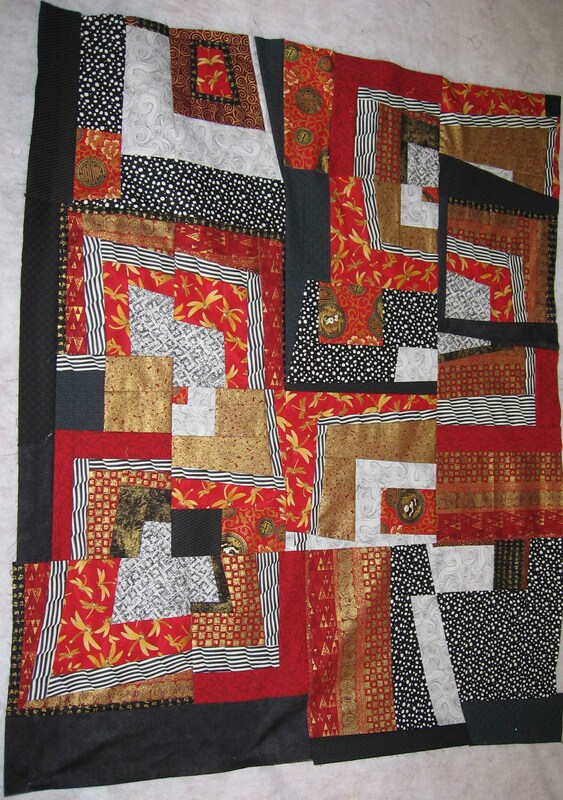 Talks included The Modern Quilt, Passionate Dyes, African Textiles in Quilting, Canadian Heritage Quilts, Decoupage, Texture Magic, Silk Screen Printing, What We Can and Cannot Do Long Arm Quilting, and Let’s Warm up to Wool. Quilters’ Café serving tea, coffee, juices, sandwiches, wraps, salads cakes and cookies. Opportunity to ride the scenic Peak2Peak gondola with a generous discount voucher provided by Whistler Blackcomb Mountains. Merchant Mall – 12 merchants attended with products ranging from hand-dyed cottons, buttons, beads, quilt fabrics, silks & embellishments, books, hand-dyed wools, and patterns.